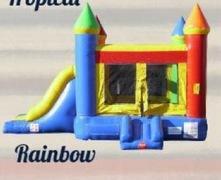 We offer the finest selection of combos which is a bounce house rental with an infaltable slide attached. 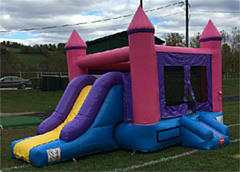 We offer generic themes, bounce house combo, and more. We sanitize each infaltble and then once again on site for double the care. We take pride in what we do.